While there is no easy way to define terrorism, it may generally be viewed as a method of violence in which civilians are targeted with the objective of forcing a perceived enemy into submission by creating fear, demoralization, and political friction in the population under attack. At one time a marginal field of study in the social sciences, terrorism is now very much in center stage. The 1970s terrorist attacks by the PLO, the Provisional Irish Republican Army, the Popular Front for the Liberation of Palestine, the Japanese Red Army, the Unabomber, Aum Shinrikyo, Timothy McVeigh, the World Trade Center attacks, the assault on a school in Russia, and suicide bombers have all made the term terrorism an all-too-common part of our vocabulary.This edition of Political Terrorism was originally published in the 1980s, well before some of the horrific events noted above. 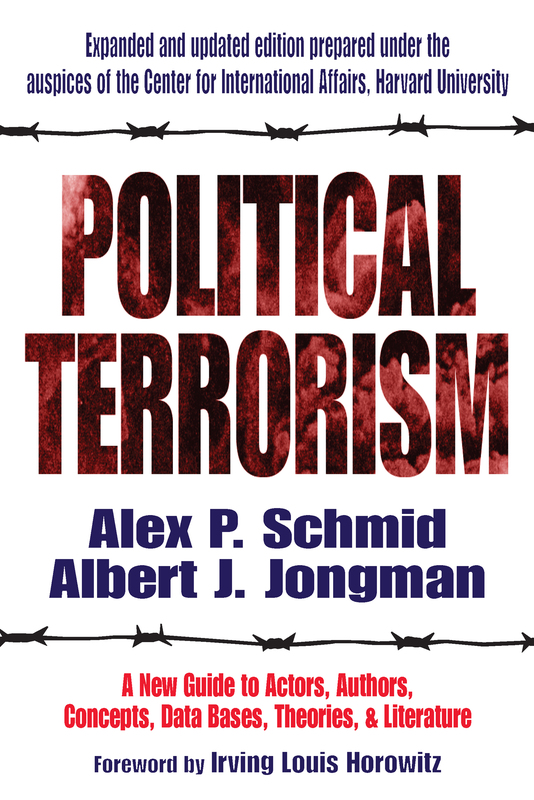 This monumental collection of definitions, conceptual frameworks, paradigmatic formulations, and bibliographic sources is being reissued in paperback now as a resource for the expanding community of researchers on the subject of terrorism. This is a carefully constructed guide to one of the most urgent issues of the world today.When the first edition was originally published, Choice noted, This extremely useful reference tool should be part of any serious social science collection. Chronicles of Culture called it a tremendously comprehensive book about a subject that any who have anything to lose--from property to liberty, life to limbs--should be forewarned against.